Applying for a student visa for Spain is time consuming and students should apply at least 2 months prior to the course start date. You should include documents that prove that you can pay for your education such as bank statements, income tax papers and proof of all liquid or movable assets. You will also need a Police Clearance Certificate from any country where you have lived for more than 5 years and this Police Clearance Certificate must bear an Apostille stamp on it. You will also require a health certificate and copies of your previous academic qualifications. All student visas for Spain are approved from Madrid and hence be sure to apply early. The visa application process for Spain is relatively straightforward if you understand and follow the requirements completely. If you visit the Spanish Consulate or Embassy with all the required documents, your visa can be granted after just one visit. However, the catch is that the student visa requires approval from Madrid and hence the process can take 1-2 months before the visa is actually approved and stamped in your passport. 1. Complete the visa application form and pay the application fee 2. Carry the following documents at the visa application centre: - Current and all old passports and the original visa fee payment receipt - Acceptance letter - Evidence of income and proof that funds are immediately available to cover your education in Spain - School and college transcripts and standardized test score sheets - Medical records translated in Spanish and legalized - Police Clearance Certificate translated in Spanish and legalized 3. The Embassy or Consulate of Spain will make a decision using the documents you submit. If required you may be called for an interview. "KGC Consultants have worked as a team and helped one to be comfortable with the admission procedures thereby fulfilling my dreams. 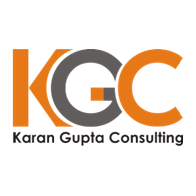 Karan is a very good counsellor who showed me the right path in deciding my schools, my career goals, thereby providing a perfect launch pad for a successful career. They really helped me with my documentation work and was upto the mark."